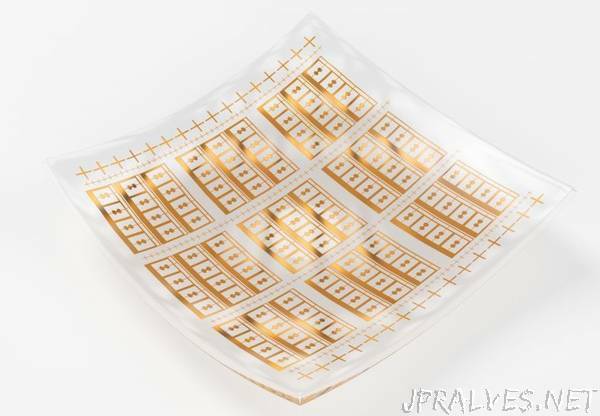 “A flexible detector for terahertz frequencies has been developed by Chalmers researchers using graphene transistors on plastic substrates. It is the first of its kind, and can extend the use of terahertz technology to applications that will require flexible electronics, such as wireless sensor networks and wearable technology. The results are published in the scientific journal Applied Physics Letters. The detector shows the concrete possibilities of graphene, a material that conduct electric current extremely well. It is a feature that makes graphene an attractive building block in fast electronics. The Chalmers researchers’ work is therefore an important step forward for graphene in the terahertz area, and a breakthrough for high performance and cheap flexible terahertz technology. The research is also part of Xinxin Yang’s licentiate seminar, which will be presented at Chalmers on 22 November 2017.